Firecom’s 50-Series is a second-generation, full-duplex, hands-free wireless radio headset that reduces the need for firefighters to be tethered to the truck and intercom via a cable. 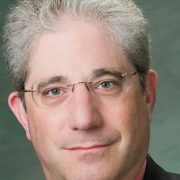 Thomas Chirhart, program manager of the DHS S&T Multiband Radio Program, discusses the pilot to test the latest multiband radio technology, including its future and lessons learned thus far. 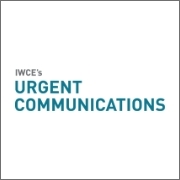 FCC commissioners approved a notice of proposed rulemaking that calls for voice-over-IP (VoIP) providers to report outages of at least 30 minutes in an effort to make the nation’s 911 emergency-calling system more reliable. Carlson Wireless has developed RuralConnect IP, a software-defined radio that uses TV white spaces to deliver wireless broadband service to homes, businesses and municipal entities in rural and underserved areas. The Vertex Standard DMR portable is ruggedized, can operate on more than 500 channels, has a full display and keypad, and supports analog voice, digital voice and radio-to-radio text messaging. Last month, we began to explore radio-frequency interference, every technician’s bane. Now we look at additional causes of RFI and — more importantly — what can be done about them. NPSTC asked that the revised FM standard not be implemented until 2017 or that LMR radios be held to a separate intrinsically safe standard than other devices. Radio-frequency interference is something that every radio-system engineer will encounter, sooner or later. In this installment, we begin to explain how it occurs and what to do about it.